Good decision making can have a huge impact on any homeowner’s maintenance costs. Roof is a key component of any structure. More often than not, it is overlooked simply because it is not easy to access. In this article, our team of experts here at American Standard Roofing will discuss whether you should replace or repair roof when it seems like it needs maintenance. 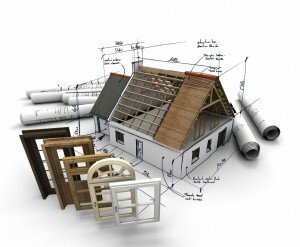 Whether you repair or replace roof, either one of these options will have associated costs. Obviously, the very first decision any homeowner needs to make is whether to simply repair the roof with patch up jobs or have complete re-roofing done. As common sense would dictate, when it comes to the repair or replace roof conundrum, repairing is easier and inexpensive. A repair job usually involves replacing shingles. Torn or damaged shingles can removed and new ones put in place very easily. It might not be as aesthetically pleasing however because patch job may be obvious from afar because of faded and new roof colors of new shingles and older color of older existing shingles. Either way, a small price to pay if the repair would extend the life of homeowners roof for another decade or 15 years or so. This is a good option if you are planning selling your home in the next few years. Just ask your roofing professional to order matching shingles because an obvious patch job not only looks unappealing, it also might have a negative impact on property’s value. Even if only part of your roof is showing signs of wear, it’s wise to consider doing the entire job while the crew is on-site with iall of it’s equipment such as ladders, scaffolding and other materials. The reason why our team recommends this is because having a complete re-roof done at one time will be less expensive than doing one part now and the rest of the roof in a few years (which trust us, you will need to invest in). Once you’ve decided to re-roof, you’ll have to decide whether to install your new roof over the current one. It’s either this or whether to tear the old one off. Once again, the choice comes down to saving a little money now and risking greater costs down the road. Or spending more now to do the job right and minimizing future costs. Once the contracting crew is up there, if you have only one layer of asphalt shingles, you may decide to have them removed even though you don’t have to. But again, doing that may save you money in the future. It is very important to obtain multiple quotes from same and different contractors. Whether it’s repair or replace roof, it helps in comparing process and the gives an idea of amount of needed work on your roof. In this day and age, reviews tell a lot about business. Go online, talk to people and get referrals. The better the reviews, the happier people are and it works in homeowner’s favor looking to repair or replace roof. Make sure that the contractor you are hiring is ranked with BBB and has a positive rating. Better Business Bureau has been around for a while and can help with identifying good contractors from the bad ones. Make a decision whether investing in a new roof is what you want or if you are okay with more frequent repair jobs. 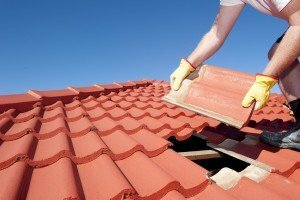 Most important decision when it comes to repair or replace roof. Make sure the contractors are licensed, bonded and insured. The last thing homeowners want is the liability falling on their heads for any mishaps that might arise during projects. While we understand that initial costs for a re-roof may be much more than a simple repair, a new roof will last homeowners for decades. A complete roof replacement job will never bother the homeowners for at least a decade or more. It becomes less of a hassle for homeowners because with roof repair chances are you will be contacting someone to fix it again very soon. Our bottom line: In the long term, you’ll end up with more money in your pocket.